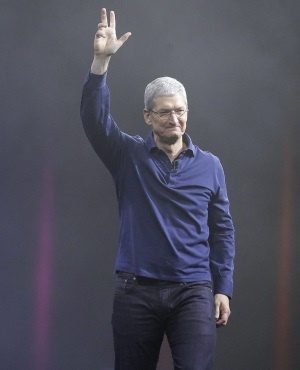 Apple chief executive officer Tim Cook on Wednesday touted the importance of privacy and legislation to protect it, as the iPhone maker seeks to distance itself from Silicon Valley competitors under scrutiny for recent user data breaches. The comments, given at an EU privacy conference in Brussels, come months after the bloc implemented strict new data protection rules and as Apple begins to mend a difficult relationship with the EU following a clash over €13bn in allegedly unpaid taxes. "It’s time for the rest of the world, including my home country, to follow your lead," Cook said, referencing Europe’s General Data Protection Regulation. "We in Apple are in full support of comprehensive federal privacy laws in the US." Meanwhile, regulators and lawmakers in Europe and the US have trained their eyes on Facebook and Google following revelations of potential user privacy violations. Facebook in September reported a cyber-attack that affected 30 million people, with hackers stealing intimate user information, including search results, recent locations and hometowns, in many cases. And after keeping it quiet for months, Google earlier in October said it found a “software glitch” in its Google+ social network in March that could have exposed the personal data of as many as half a million users. Cook has previously criticised Alphabet’s Google and Facebook for basing their business models on harvesting personal information for advertising, while highlighting that Apple tries to collect as little of it as possible. "We shouldn’t sugar-coat the consequences," he said on Wednesday. "This is surveillance and these stockpiles of data serve only to make rich the companies that collect them. This should make us uncomfortable." Still, Apple indirectly benefits from Google’s business model. Google will pay Apple as much as $9bn this year for its search engine to be the default on many parts of the iPhone and other Apple devices, Goldman Sachs estimates. Apple has been in the headlines recently for security issues of its own following a Bloomberg report that Chinese spies used a microchip to infiltrate the computer networks of almost 30 US companies, including Apple and Amazon.com.